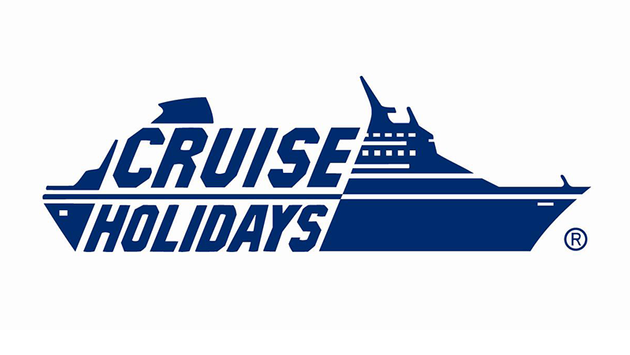 Cruise Holidays International has named four cruise lines, one tour operator and one travel insurance supplier as its top suppliers of 2014. This year’s awards honor Royal Caribbean International (Contemporary Cruise Line of the Year), Celebrity Cruises (Premium Cruise Line of the Year), Regent Seven Seas Cruises (Luxury Cruise Line of the Year), AmaWaterways (River Cruise Line of the Year), Funjet Vacations (Tour Operator of the Year), and Travel Guard (Non-Cruise Line Supplier of the Year). The awards are determined through the votes from Cruise Holidays franchise owners from across North America and the winners received their awards today as part of the Cruise Holidays Annual Convention, taking place May 15-18, at the Hilton New Orleans Riverside. In voting for each Top Supplier category, Cruise Holidays franchise owners were encouraged to consider how easily they can do business with each supplier on a day-to-day basis, as well as the overall quality of the product and support through the suppliers’ local representatives, along with other benchmarks that may be unique to that particular franchise owner. A new category, Tour Operator of the Year, was added to reflect the growing diversification of Cruise Holidays’ agency portfolios – many of which now include tours and all-inclusive resorts in addition to significant cruise bookings. The Premium/Luxury Cruise Line of the Year has now been separated into two categories to more accurately reflect the unique differences these types of cruise lines provide. As this year’s Contemporary Cruise Line of the Year, Royal Caribbean International has now been honored for eight consecutive years as either the best contemporary cruise line or easiest cruise line to work with by Cruise Holidays. Celebrity Cruises is now a three-time winner in the Premium Cruise Line of the Year category (previously known as Premium/Luxury category). Regent Seven Seas Cruises now stands on its own as the Luxury Cruise Line of the Year. AmaWaterways holds the proud distinction of receiving the award for Cruise Holidays’ River Cruise Line of the Year all three years of the award’s existence. While tour operators have previously been included in a broader “non-cruise line” category, this year, an entirely new tour operator category was added with nearly 20 eligible tour suppliers. Funjet Vacations earns the distinction of being the very first winner, although it won the award for Non-Cruise Line Supplier of the Year in 2012. “As we steadily increase the land offerings that we make available to our frontline agents, it’s only appropriate that we publicly praise our tour operator partners. Each of them has stepped up to support our agents in their endeavors to diversify their product mix. Our tour operators also help our agents better serve their clients who enjoy land-based vacations,” said Weisner. For the seventh time, Travel Guard rose to the top of an impressive list of non-cruise line suppliers, which includes other travel insurance providers, ground transportation businesses, air consolidators, luggage-handling services and shore excursion companies. “Our travel agents are committed to selling travel insurance because they see the value in the extraordinary service Travel Guard delivers when our customers need it most. Travel Guard’s exceptional service helps our agents sell it with confidence and provides an added layer of protection for Cruise Holidays’ clientele if the need ever arises,” explained Weisner. For information about franchising opportunities with Cruise Holidays, visit www.joincruiseholidays.ca in Canada, www.joincruiseholidays.com in the United States, email Anne Lawler (alawler@cruiseholidays.com) or call 800-824-1481.